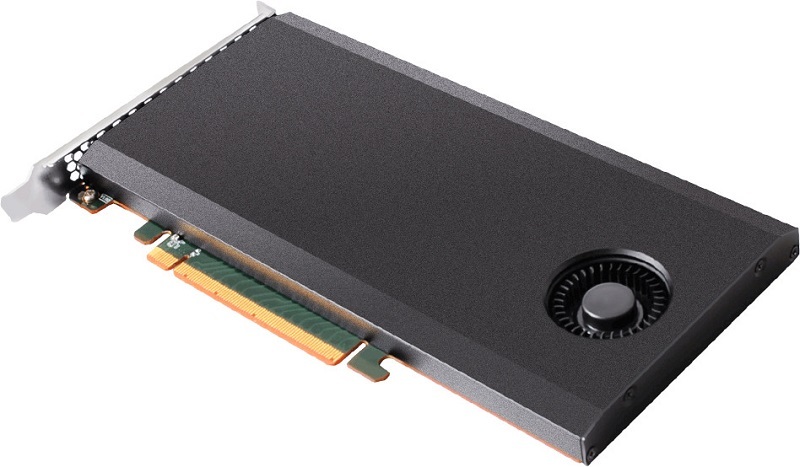 HighPoint has introduced their SSD7101 series of PCIe 3.0 16x NVMe RAID SSDs, which comes with four internal M.2 SSDs to offer sequential read speeds of 13,000+ MB/s. Read more on HighPoint's new SSD7101's series of RAIDed NVMe SSDs. I've been testing NVMe RAID chips for servers from LSI and as such I'd be interested in seeing the performance in R0, R1 and, if available, JBOD mode (using software R0/R1 such as Storage Spaces) to see if they matched my findings. The best I've managed was a HPE DL380 Gen9 with 6 x 2TB NVMe hot-pluggable drives running off a x16 slot card - I never got more than 10.2GBps for 4k sequential writes in Server 2016, the random writes was more impressive but nothing compared to that seen with Optane.